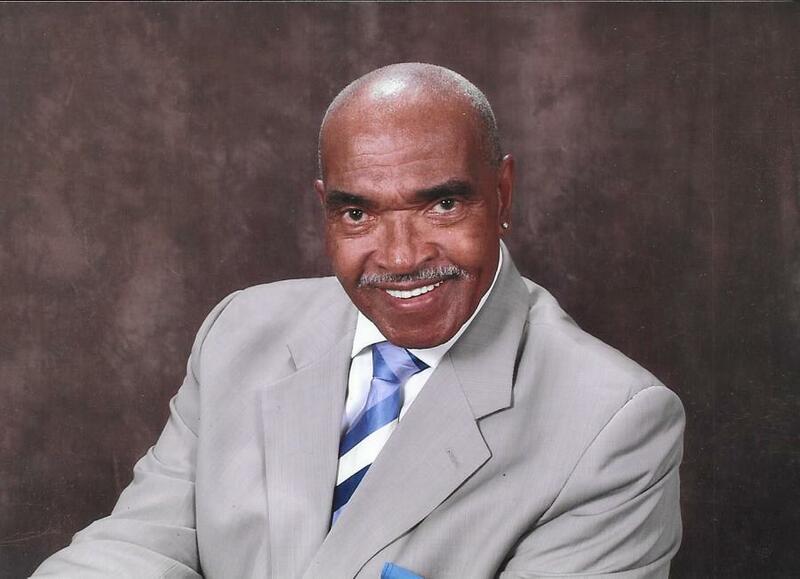 Obituary for Lester C. Earl Sr. | Minor-Morris Funeral Home, Ltd.
Rev. Lester Calton Earl, Sr. was born October 25, 1931 in Lawrence County, Mississippi to the late Gothea and Mary Earl. He accepted Christ at an early age and was baptized at China Lee M.B. Church in Arm, Mississippi. At a young age he spend time with grandparents, Minnie and Wilson Miles in Alexandria, Louisiana where he developed his love for fashion and style. After moving to Brookhaven with his family, he attended Monticello High School where he was an outstanding "high jumper" for the track and field team. He joined St. Mark Church where he began ministering as a Quartet singer. He received "Butcher" training at Swins Locker Plant in Brookhaven and became a professional butcher. As a young man, he moved to Chicago and perfected his trade at David Berg & Co., Eckrich Farm Meats, and Hoffmeister and Son Hams. As a mater butcher, he introduced the smoked turkey process to Hoffmeister and Son. After retirement he was affectionately known as the "Ham Man" for selling hams and smoked turkeys throughout the country. In 1968 he met the love of his life, the late Rosie Lee. Together they shared a passion for quartet singing, traveling and fishing. To the union, twins were born and together they raised seven children. He joined Zion Holy M.B. Church under the leadership of Rev. Isiah Stokes, Sr. He accepted his call to the ministry and was ordained as a minister on April 27, 1980. He served as an associate minister and diligent worker, along with his wife supporting the church building fund. He answered another call and was installed as Pastor of Golden Rule M.. Church. In 2000, he joined New Faith M.B. Church under the leadership of Rev. Dr. Howard Randolph. Rev. Earl was true pioneer and professional bass singer. He was formerly trained by the Father of Gospel quartet music, the late R.H. Harris. He was a vocal trainer, music teacher, and mentor that contributed to the success of the Gospel Hurricanes and many other accomplished quartet singers and gospel artist across the country. He traveled the country singing, performing and recording with quartet groups such as the Gospel Songbirds, Cliffs of Calvary, Southern Jubilees, and the Gospel Paraders, and performed backup for many others. He met Clara Coleman and began to manage and perform with the Lewis Singers of Chicago. They developed a special bond that was never broken. Rev. Earl was preceded in death by his wife, Rosie Earl; father and mother, Gothea and Mary Earl; two sister, Lillie Pittman and Gladys Cameron; three brothers, Johnnie Earl, Author Earl and Edward James Earl; two sons, Richard Peterson and Michael Peterson; one grandson, Tevin Earl; seven brothers-in-law, Carey Cameron Sr., Doe Day, Luther Pittman, Robert French, James Stokes, Isaiah Stokes and Jeremiah Stokes; two sisters-in-law, Elizabeth Coker and Isabel Stokes. Rev. Earl departed this life on Wednesday, March 20, 2019. He leaves to cherish his loving memories; a devoted and loving companion, Clara Coleman; three sons, Lester Earl II, Rev. Roderick Peterson and Jimmie Peterson; two daughters, Lesley Bussey (Horace) of Houston, TX and Alma Peterson; four sisters, Mary Ann Day, and Grace Barkum, both of Gulfport, MS, Sallie French of Grand Blanc, MI and Minnie Jackson (Edward) of Detroit, MI; three sisters-in-law, Ruby Anderson, Ollie Stokes and Elizabeth Stokes; two brothers-on-law, Pastor Earnest Coker and John Stokes; sixteen grandchildren, sixteen great grandchildren and a host of nieces, nephews, cousins, loved ones and friends.